Learning how to start a blog on WordPress is an ideal way to get your online journey started. At WPZOOM we’ve been making WordPress themes for the last decade, and we’re often people’s first point of contact with WordPress. The steps to start a blog are relatively straightforward, but some parts are slightly unintuitive, and a guide will make the whole process much easier for you. This step-by-step guide, with accompanying videos, will make sure whether you’re new to WordPress – or want a website but don’t know where to start – you’re in good hands. We’re going to cover all the steps needed to start a blog with WordPress: from choosing a website name, to getting hosting, installing WordPress, adding a quality design (theme), and then getting your site up and running. Self-hosted WordPress, the blogging software we’ll use in this tutorial, is free, but you will need to pay for the domain name and hosting. You also have the option to get some extras to improve the design and functionality of your site down the line. The total cost should be no more than $150-200/year. A pretty reasonable fee for your own place on the internet. You’ll be able to follow the whole tutorial right here, with videos embedded for your convenience. We’ve helped over 40,000 people style their WordPress sites, and we can’t wait for you to be the next happy person on the list. Your first port of call should be to choose your domain name and hosting. Your domain name is your website address, and your hosting is what’s going to power your blog (and WordPress itself). It’s important to get both of these right, as they’re the backbone of your blog. Fortunately, we’re here to help. You should be prepared to spend a good couple of hours choosing your domain name. This is going to be your blog’s central brand, and how visitors are going to find your site. You should make sure your domain uses a .com extension (the most recognisable domain extension in the world), is as short as possible (wpzoom.com, at six characters, is a great example), and is easy to spell (even when, as with domain names, all the characters are squashed together). Unfortunately a lot of domain names – including the one you want – have been registered already. Fortunately, however, you can use a tool such as NameMesh to make the process of finding the perfect name much easier for you. Once you’ve chosen your perfect name, it’s time to buy it! You can get your domain name, and hosting all in one place for added convenience. There are plenty of companies who will provide these services for you, but we recommend SiteGround. SiteGround offer an excellent mix between affordability, and excellent features (such as sophisticated fast loading) normally only found with much more expensive providers. You can click here to go to SiteGround and get 60% off the regular price. This makes their StartUp plan a very reasonable $3.95/month, or the GrowBig plan $5.95/month. We’d recommend choosing GrowBig, as this offers plenty of room to grow, but the StartUp plan will work if you’re on a budget. You can watch the video below to talk you through the SiteGround signup process. We also have a text version below the video for your convenience. When you sign up for SiteGround, they’ll prompt you to enter the domain name you want. Enter the name you chose earlier, and then proceed through the checkout. The only addon we’d recommend choosing is Domain Privacy, which keeps your personal details private. You’ll be prompted to make an account, and then you’re done with setting up your domain name and hosting. SiteGround makes the whole process of installing WordPress remarkably straightforward. WordPress used to market itself on its “five minute install”, but you’ll have WordPress installed in a fifth of that time. 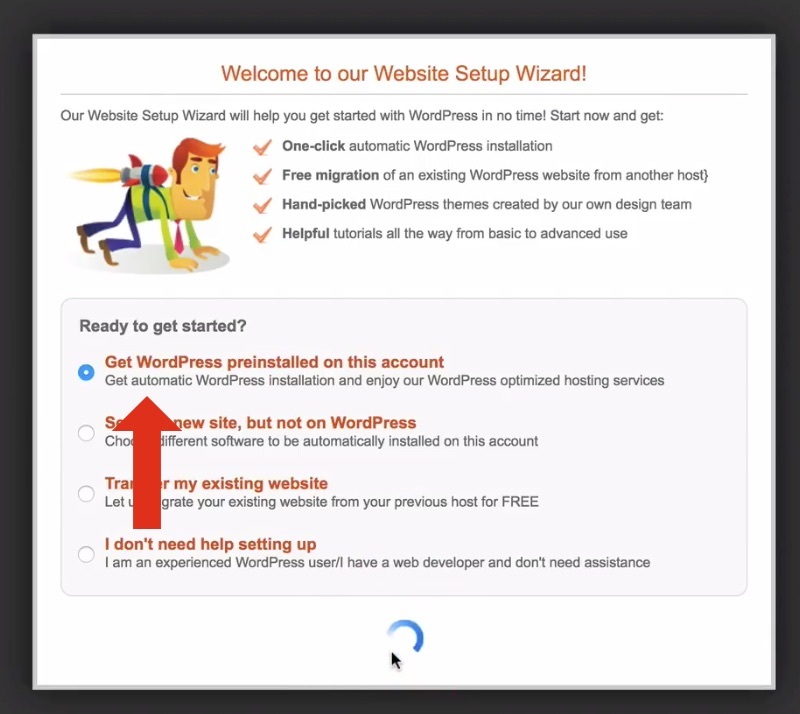 Once you’ve paid for your SiteGround hosting, choose the option to “get WordPress pre-installed on this account”, follow the prompts (you can skip installing a theme for now), and then you’ll be given login details right away. These will be yoursite.com/wp-admin/. Bookmark this link, and save your login details, as you’ll need these to access the WordPress admin. Once done, head there now. You’ll find yourself at your WordPress Dashboard! This is where you can control and customise your site. Take a look around, and get familiar with how it works. SiteGround pre-installs the Jetpack plugin for you (here are some awesome jetpack features). Jetpack is an excellent plugin which adds many “most wanted” features. You should follow the prompts from the Dashboard to connect this to WordPress.com in order to get the plugin fully set up. You’ve now followed the basic steps needed to create a WordPress blog, and we can get into the really fun steps. The first thing we’ll do is choose an excellent design! These are known as WordPress themes, and there are thousands of excellent designs to choose from. WordPress themes are a major advantage of WordPress: they let you get a professional design on your site for a fraction of the cost of hiring a professional designer. A good WordPress theme will cost around $60 to $100. We’ll let you into a secret: at WPZOOM, we make excellent WordPress themes. We’ve been making excellent WordPress themes for ten years (this makes us one of the most experienced teams in the business), and have served 40,000+ customers, with some of the world’s biggest brands amongst them (including Groupon, Bloomberg, Barnes & Noble, and UNICEF). At the time of writing, we have roughly 40 WordPress themes in our collection, covering all needs and niches: from business WordPress themes, to food blog WordPress themes, to magazine-style WordPress themes. Inspiro is our portfolio WordPress theme, which is extremely popular with creatives. If you want to show off your work, this is the theme for you. Foodica is our food blog WordPress theme, which also works great for magazine, travel, or receive blogs. This features an incredible minimal design. Indigo is one of our magazine WordPress themes, mixing the design you’d find in a magazine with the classic blog look. 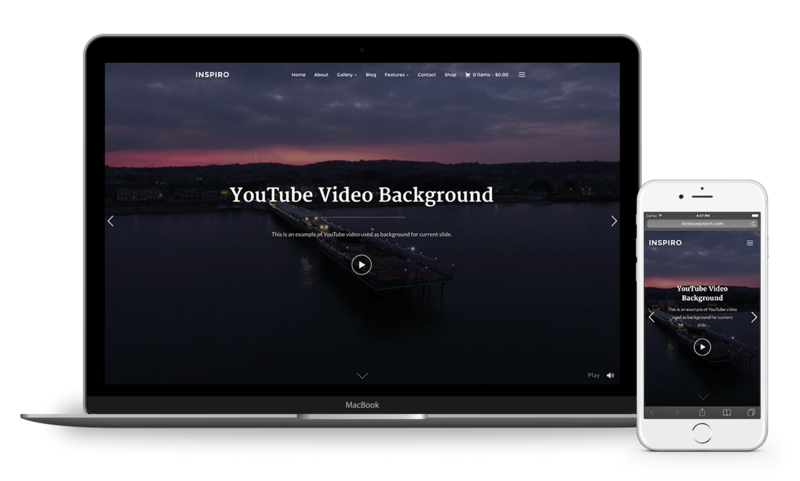 VideoBox is the theme to choose if you want a video WordPress theme. For mixing video content and your blog, look no further. Finally, if you want a single theme to do it all, Presence is our multipurpose WordPress theme, which can do anything. It’s really powerful. Check it out. If you can’t choose between these themes, then you can get our All Themes Package, and get all our themes for an incredible single low price. Whichever theme or package you choose, you get excellent support, theme updates, and security releases, included in your package. Once you’ve chosen your WordPress theme, it’s time to install it. 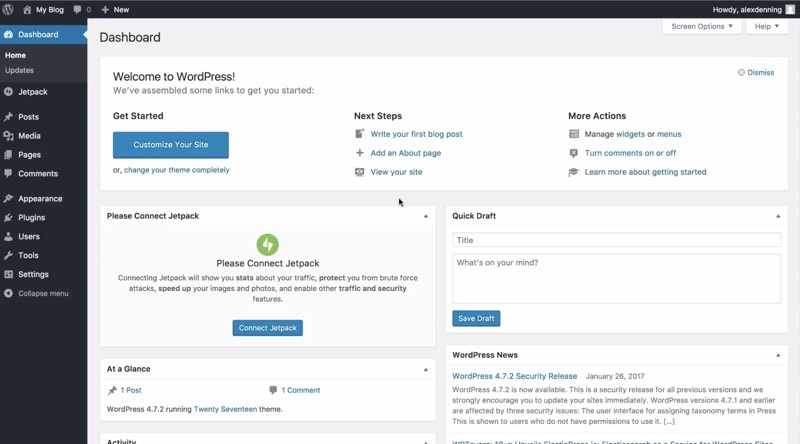 The video below takes you through this stage of how to create a WordPress blog. You’ll need to download the theme from your WPZOOM Member Area, then head to your WordPress Dashboard, click Appearance → Themes → Add New → Upload Theme. Upload the ZIP file you’ve just downloaded, and then Install and Activate the theme. There’s some more work to do in order to set up your blog and theme properly. The precise steps for this will vary from theme to theme, but you’ll want to get familiar with making changes using the WordPress Customizer (access this under Themes → Customize from the Dashboard), and theme options (click WPZOOM on the Dashboard). We have instructions for individual themes here, and the video above shows you one example of this in detail. You’ll also be prompted by your theme to add some recommended WordPress plugins. Follow the prompts in order to do these, and add extra functionality to your site. 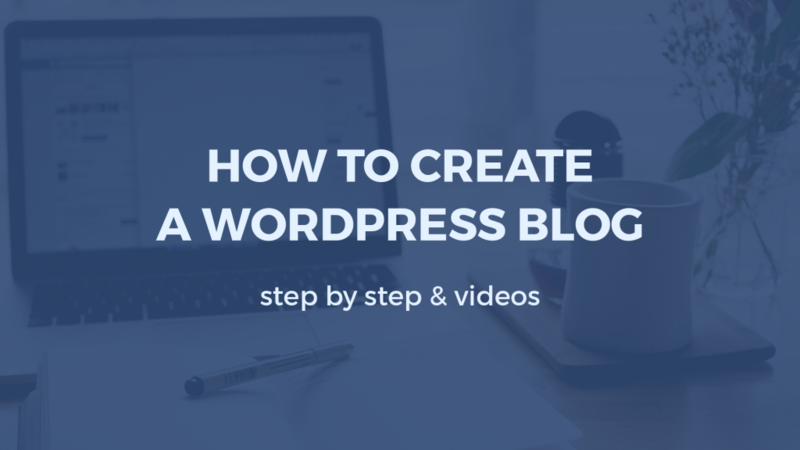 You’ve now learned the vast majority of the steps needed to create a WordPress blog! Nice work! Our final step is to add your content, and add some extra functionality. Adding content to your blog is obviously going to require consistent and ongoing attention. You’ll need to add before “structure” content, which appears on the homepage, sidebars, and footers, and “regular” content, which will be your blog posts. 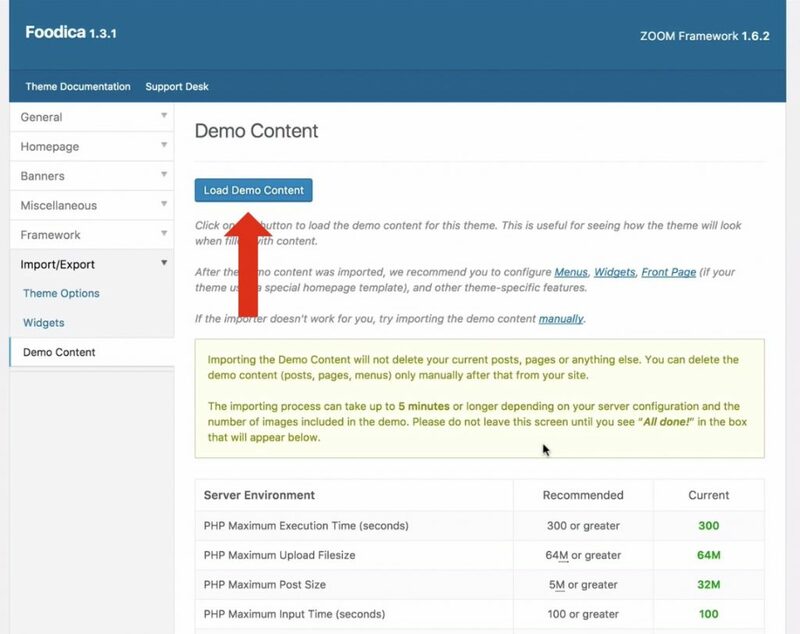 WPZOOM themes make it easy to get up and running with both: from the WordPress Dashboard, head to WPZOOM → Theme Options → Import/Export → Demo Content, and then click Load Demo Content. This will load the same content found on your theme’s demo on WPZOOM.com, onto your site. This gives you an excellent basis from which to customize your site, as you can make tweaks to the demo, rather than start from scratch. Your main ports of call for making these changes should be the Customizer, Posts and Pages menus, and the Widgets options (under Appearance → Widgets). The great power of WordPress is this whole process can be complete in as little time as an hour from start to finish. You can, of course, choose to spend as much time as you need getting precisely the look you want – and if you’ve purchased a WPZOOM theme, our Support Team is here to help should you need any assistance. 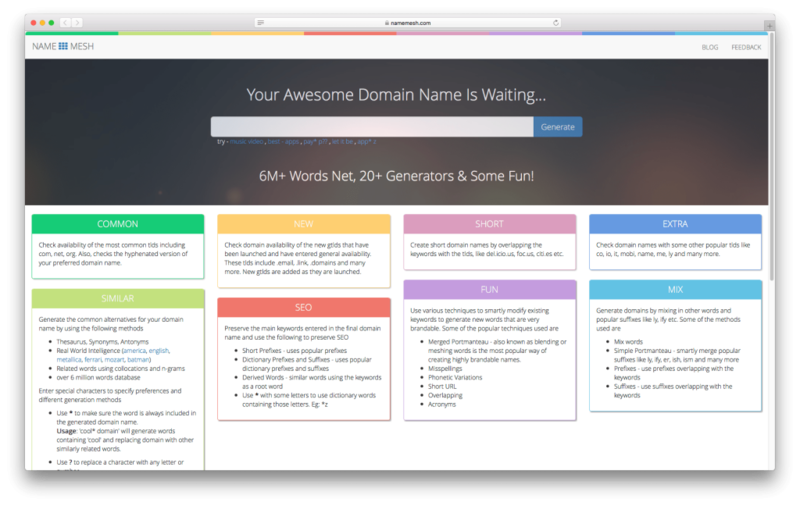 NameMesh for finding your domain name. WPZOOM themes for excellent WordPress themes. Thanks for reading! We hope this guide has been useful for you. You can ask any questions you have in the comments, and we’ll endeavour to get back to you as soon as we can.